Having a small office space doesn’t mean that you should compromise on productivity and efficiency. It’s all about clever design, efficient use of space and smart thinking to solve problems. As an office space planning company, we can help you make use of every inch of your work area, as well as giving you an environment that will improve and streamline the way you do business. Starting the space planning process couldn’t be simpler. We just need you to complete the steps below, and we’ll take it from there. We’ll produce a detailed drawing and make suggestions that’ll have you well on your way to achieving the perfect office. 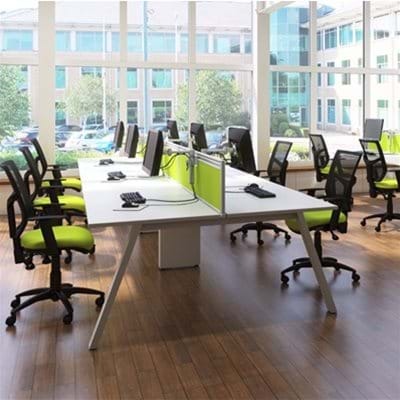 Do you want to bring your existing office furniture and décor up to date? Regardless of your requirements, Calibre is here to help. We realise that an effectively planned office environment can raise productivity and morale among workers and, as such, is invaluable to companies. At Calibre, we are experts in space management for larger offices and should be perfectly placed to help you.